Everyone has nightmares. Whether it's the one where all your teeth are falling out, or you're at school for the big exam you didn't study for and you just happen to be naked, we all are familiar with waking up in a state of dread only to be relieved that no, this isn't something you actually have to worry about at that moment. For years, I had school nightmares. I would remember that I had signed up for a class that I then promptly forgot about until the final exam, only to realize that I had absolutely no idea where the class was being held. I also had a recurring dream that I would suddenly appear at school either completely naked or in my underwear, with only a pillow to conceal myself. Lately, though, I seem to be having a new type of nightmare. Instead of being based around school disasters, these focus on something much more distressing for me - moving. I will find myself in a fairly luxurious apartment that I absolutely love. It often is the same apartment, one Ive never been to in real life, but I recognize the floor plan once I wake up. In this apartment are the things my family and I have acquired over the 1-2 years we lived there, and we find ourselves faced with the prospect of boxing it all up to move. But wait, you say, I thought this was supposed to be a nightmare? Oh, my friend, trust me... it is SUCH a nightmare. See, we aren't just boxing up our things. We have to move because some sort of drama has occurred- someone has lost a job, or become disabled (things we have gone through in reality), and for whatever reason, we have left everything until the absolute last minute possible to leave. We have a matter of hours to get everything we own out of the apartment and clean it up to get the deposit back, and it just is not going to be possible. It gets worse from there, as then family comes to help, but instead yell at us for being unprepared, and the landlord comes with police to evict us... my child (who is an adult in reality, but always a small child in these dreams) cries as everything familiar is being boxed up and taken away, and I stand helpless, watching everything Ive worked for basically falling apart. Then I wake up, and let me tell you this- my life is nowhere near perfect, but the relief I feel when I realize I don't actually have to move right now? That is a wonderful, wonderful feeling. Brains are weird. What sort of nightmares do you find yourself dealing with? Have you found anything that seems to trigger them? 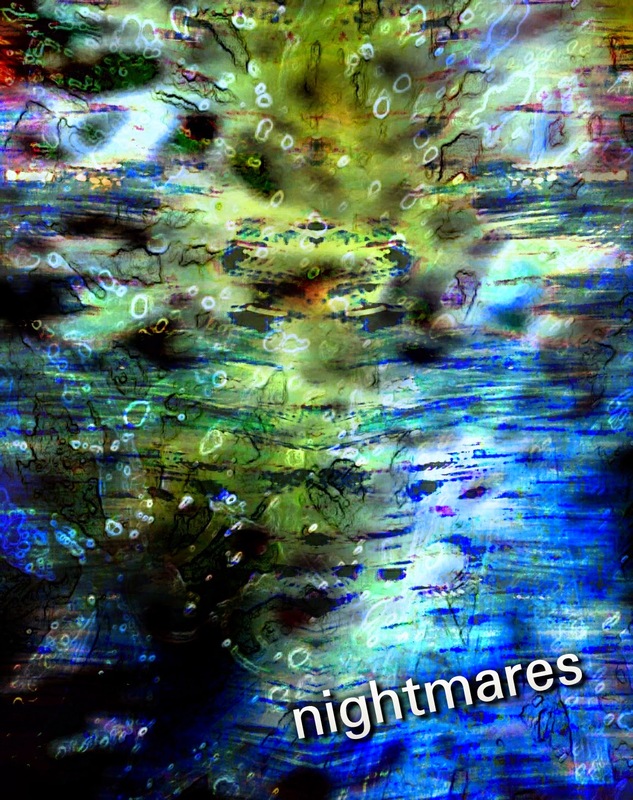 Leave me a comment, I would really like to know I'm not the only one having weird dreams like these! My brain is a strange place to be trapped sometimes. See my disclosure statement for more information. very interesting article,Nightmares Can Be Strange Things. Thanks so much for taking the time to comment. I may not reply due to time constraints, but I read every comment and I appreciate them all! Please don't leave links in my comments unless they directly apply to a conversation. If you want a link exchange, feel free to email me. Spam links will be deleted. My husband and I have a Redbubble shop where you can find all sorts of cool goodies! Go check it out, and help support this blog!